Nawal El Saadawi is a world renowned novelist, a psychiatrist, and author of more than fifty books fiction and non-fiction. As a result of her literary and scientific writings she has faced numerous difficulties and dangers in her life. Her books have been banned by successive Egyptian governments, she lost her job in the Egyptian Ministry of Health due to her outspokenness against Female Genital Mutilation (FGM) and in 1981 she was imprisoned by President Sadat. Whilst in prison she wrote her book Memoirs from the Women’s Prison on a roll of toilette paper and an eyebrow pencil smuggled into her cell. Her literary works include Woman At Point Zero, The Hidden Face of Eve and God dies by the Nile. 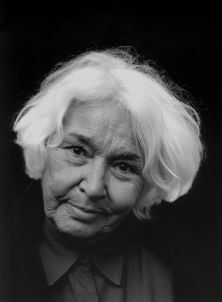 Nawal El Saadawi had been awarded several national and international literary prizes, she has lectured in numerous universities, and participated in many international and national conferences. Her works have been translated into more than forty languages and are widely taught in universities around the world. Chaired by Patricia Moran, Head of English, this event will take the form of an interview style conversation followed by an audience Q&A. All guests are welcome to a networking reception following the main event. This event has been organised with the Department of English in association with the School of Arts and Social Sciences (SASS) Athena SWAN Self-Assessment Team.